Music stemming from the speakers on top of the Christian County Courthouse was once again the topic of discussion at the Christian County Board meeting on Tuesday night. 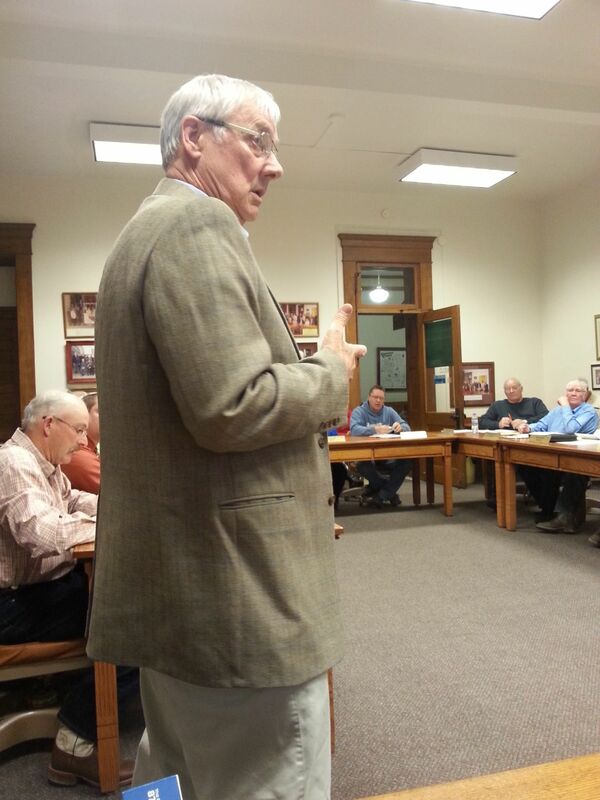 During public comments, the board heard from resident Tom Wall regarding the issue. Wall addressed the board saying the motion should be brought back to the committee. He also mentioned he is not concerned about the hours of the music being played. Wall said he has spoken to Ed Downs, Vice President of Downtowntaylorville.org about the hours of operation. Wall has not discussed the issue with his neighbors yet, but will start to receive feedback on their input. Business owner, Janet DeClerck, commented during the Building Committee meeting on March 8 that her customers gave her positive compliments about the music. It was also during that meeting that a motion was approved to have the hours be from 9 to 4 Monday through Saturday. Wall suggested that speakers should be installed ground level. Following much discussion, the motion to bring it back to committee to establish hours of operation for the music was approved. In other Christian County Board action, a motion was approved for the assessment of a $5 electronic citation fee to be paid by any defendant in any traffic, misdemeanor, municipal ordinance, or conservation case upon judgment of guilty, or supervision judgment. Christian County Board Chairman, Paul Schmitz, told Regional Radio News that they didn’t approve of it in 2011, as the County adopted a resolution to not participate in the $5 fee. It was reported that the grant money has not been dispersed by the state for the Solid Waste Fund, and the quarterly tipping fees from the landfill have not yet arrived leaving a cash flow issue. It was observed that the Solid Waste Fund did not have enough cash in the checking amount to cover those expenses. Schmitz says there is a CD coming in on March 31st, yet the market for recycling materials has gone down. Schmitz noted the contract runs next year with the hauler, and if recycling doesn’t pick up and there is no market for it, then everything will go to the landfill. In other Christian County Board action, the Board heard from Central Illinois Public Transit Program Director Kim Adair and Mobility Manager Nathan Nichols about the progress of CIPT since they started offering public transportation in the county since November. From November 15 through February 16, there have been a total of 1,017 trips. Nichols said they want to employ more drivers to have an overall total of eight to ten. They will continue speaking to the public and attend events to spread the word about C.I.P.T. Laurie Mense, Christian County Clerk & Recorder, reported some election figures from the Primary held last week and compared the totals to four years ago. Mense stated this year’s precinct that recorded the highest percentage was Johnson Township at over 51%, yet represents 284 voters, while the most ballots were cast in Pana Township at 497. The meeting adjourned at 7:36 p.m.